You'll be £19.99 closer to your next £10.00 credit when you purchase While Berlin Burns. What's this? Hans-Georg von Studnitz held a senior post in the German Foreign Office Press and Information Section in Berlin throughout the war. He also edited the official German Diplomatic,Correspondence, gaining a unique insight into events in Europe through his frequent contact with foreign diplomats and travels to France and Spain. His diaries chronicle the key events of the war from 1943-5 and are a fascinating exposé of the state of the German and foreign press during the war. The potentially provocative nature of his diaries meant that his secretary had to hide them every night in the office safe. Von Studnitz's diaries describe vividly the bombing raids on Berlin and the terrible devastation and loss of life they incurred. Taking us on a tour of the ruins of the bombed out city, he describes the dignity and calm of Berliners in the face of disaster. Well-written and engaging, the diary can also be read on several different levels, yielding as it does interesting information about issues ranging from Italo-German relations and the efficacy of propaganda devised by the British Political Warfare Executive, to the nature of Black Market trading in the Austrian and German capitals. An indispensable primary source. Few Germans were in as good a position to watch, and describe, the collapse of the Nazi regime at the end of the war as Hans-Georg von Studnitz. 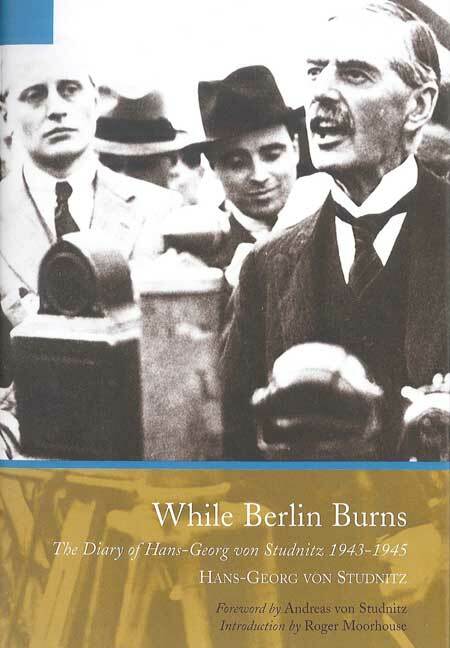 While Berlin Burns is one of the best books I have read for some time.